We will begin our experience meeting in front of the Greek Theater. There is free parking on Hillhurst, all around the Greek Theater. Then together we will take the Dash (a shuttle) up to the Observatory. NOTE: For the Sunrise Experience: We will meet in front of the Griffith Observatory as the Dash does not run that early. Parking is $4 an hour. We will take about 10-15 minutes soaking up the beautiful sky during golden our, and I will take your Instagramable pictures in front of the Observatory. We will then begin our hike until we get to our isolated and woodsy destination to do 30 minutes of yoga and 20 minutes of meditation with perfect views of the sunset/sky, and overlooking the hills and the lit city. After yoga & meditation, we will hike a mile with gorgeous views of the iconic Hollywood Sign, stopping at appropriate times to take pictures. Then we will take about 10-15 minutes soaking up the beautiful sky during golden our, and I will take your pictures in front of the observatory. We will then begin our hike until we get to our isolated and woodsy destination to do 30 minutes of yoga and 20 minutes of meditation with perfect views of the sunset, and overlooking the hills and the lit city. 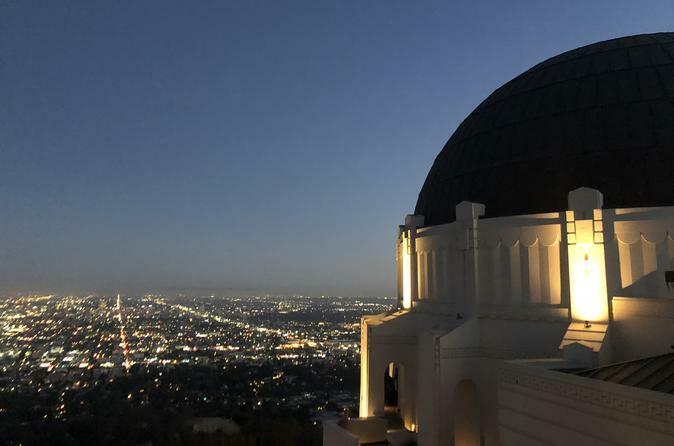 We will conclude our experience with sunset pictures in front to the Griffith Observatory, and I'll show you the best locations at the Observatory to take pictures. After that I will leave you to explore the Griffith Observatory (for free!) where you can experience more of what LA has to offer.